"TAKO" MEANS OCTOPUS, "YAKI" MEANS TO GRILL or bake. 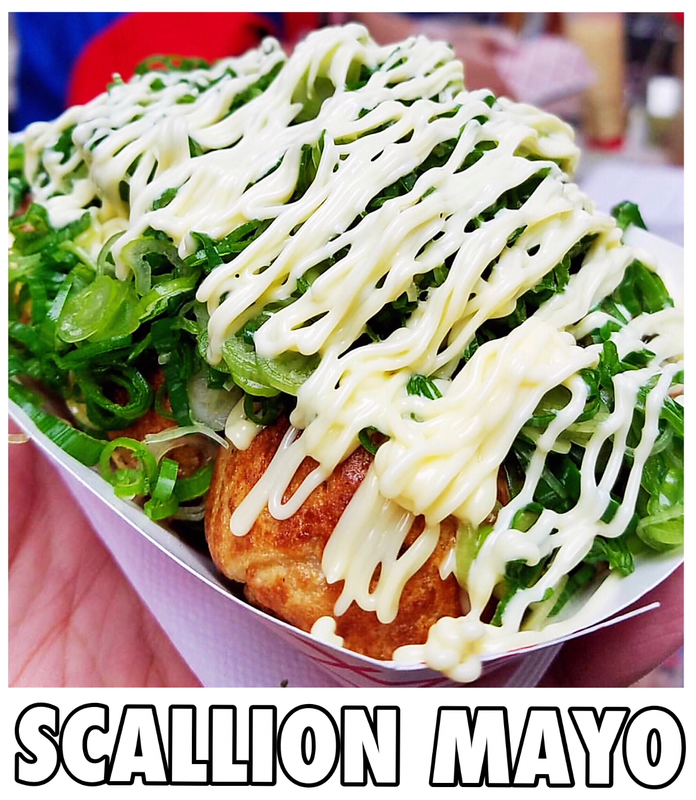 WHAT SEPARATES karl's takoyaki FROM THE REST IS A TRULY HAND MADE RECIPE. 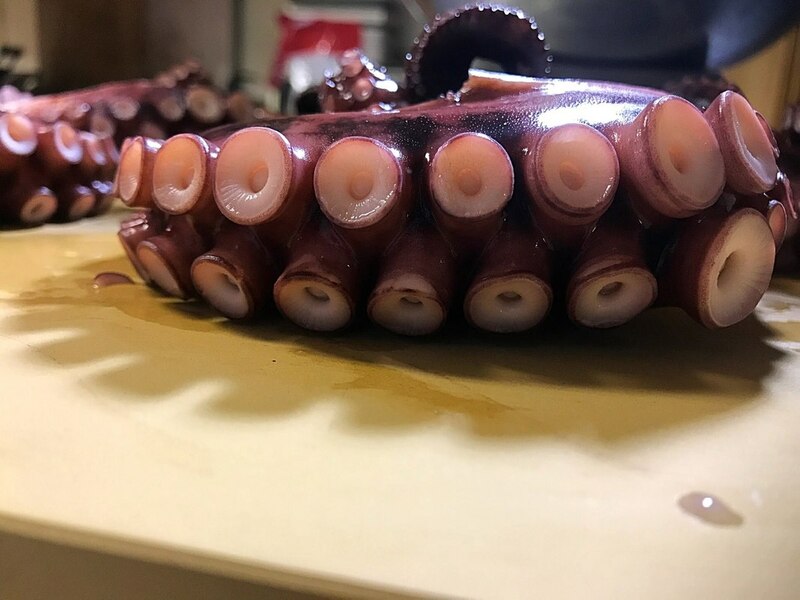 ALL OF THE OCToPUS IS BOILED WHOLE , INSPECTED, AND CUT PIECE BY PIECE BY KARL'S KNIFE. each cut IS SOFT WITH A SLIGHT CHEW! 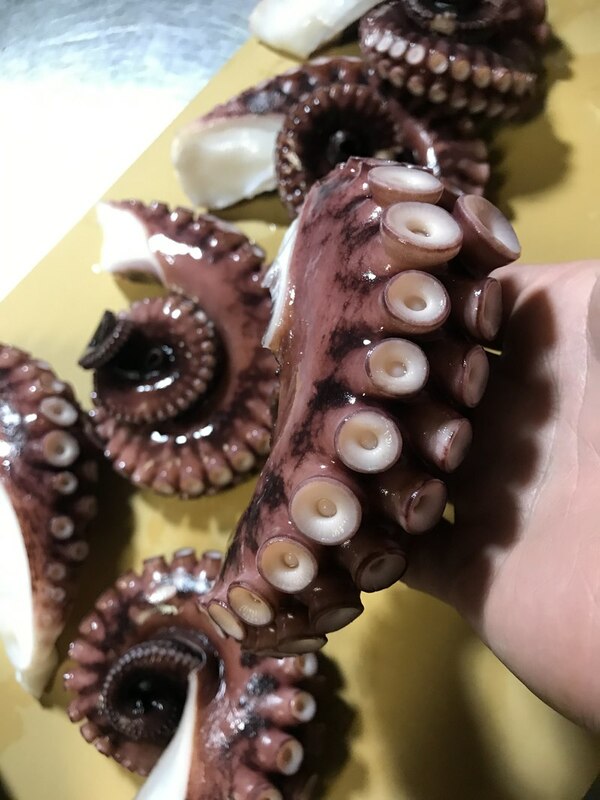 karl prepares EACH OCTOPus IN A SPECIAL PROCESS that takes 3 days from start to end THAT MAKES IT "SUSHI READY". the BATTER is a homemade recipe, secret dashi with various ingredients for a truly tasty, savory, sweet batter. the BAKING METHOD technique, incorporates cooking only by hand, by continuous rotation and flipping of the batter. this ENSURES THAT THE OUTSIDE WILL BE slightly crisp AND SOFT, BUT very WET ON THE INSIDE. this is because of 100% copper plates. it is a supreme cooking element for cooking takoyaki. KARL'S SPECIAL, tangy takoyaki BALL SAUCE. there is truly nothing like it! ​karl's BALL SAUCE IS SLIGHTLY SWEET, TANGY, SPICY AND FRUITY ALL IN ONCE. ***one word of caution. 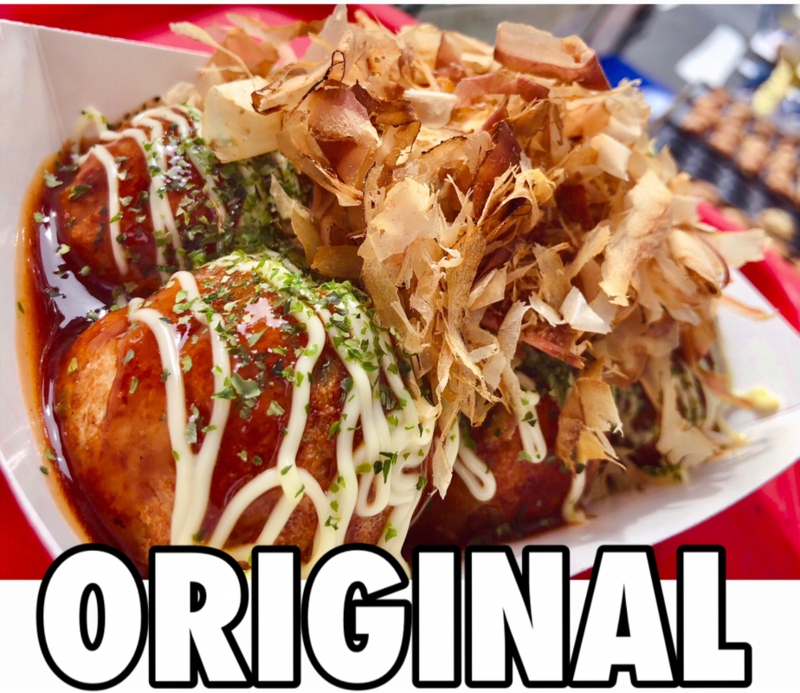 karl's takoyaki is cooked just like some of his favorite stores in osaka. that means, it is prone to be very very soft and creamy. this is the true authentic kansai style. other areas of japan, such as tokyo are known to have a crispier more oil-fried version***. KARL PREPARES EVERY OCTOPUS BY HAND FOR SUSHI.